What Are We To Glean From Prophecy Unfolding – I Am Not Ashamed Of The Gospel Of Christ! Bear with us as we try to sound a trumpet. 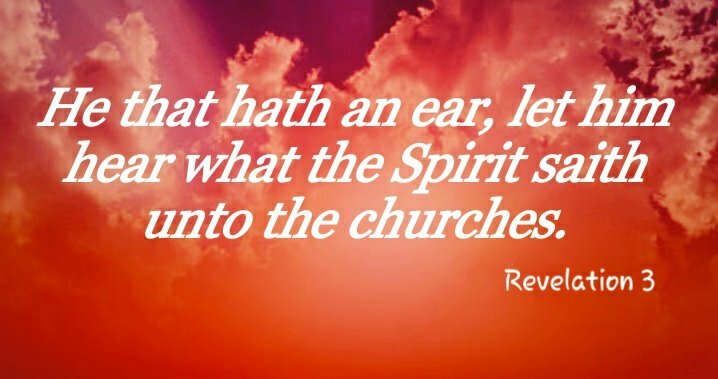 At the outset I say this, no one man or commentary or translation is to be followed as a replacement for Gods word, but He sends His watchmen, His prophets and teachers and most of all the Holy Spirit to warn and give knowledge and discernment. Its very easy to get lost in a sea of words and debate and so often your lost in your own intrepretive thoughts instead of flowing in the Holy Spirit. Jesus didnt debate words when tempted by Satan. He didnt say, but the Aramaic translation doesnt mean I can jump from a cliff and not break my foot. He said simply in reply to satans quote about Gods angels lifting Him up so He would not strike His foot on a stone, “Dont tempt the Lord your God.” Why do we attempt to play word games to cryptically make hidden messages where there are none. So much has been written and debated about a timeline and words that only create division and confusion. Glean from this what you need guided by the Holy Spirit but take away this one thing, time is short and growing shorter. Time is speeding up. The divisions in the world are causing great chasms at a time when His name should be glorified, and that does not include jumping up and down in a concert designed building labeled as a house of worship, this is idolatry in its own right. That said lets get to it. I watched a video this morning by Michael Rood, if your not familiar with him hes a messianic jew. I like him as he teaches about the jewish customs, and teachings that have been left out in protestant denominations. We have lost our roots. Paul warned against losing our roots. 18 do not consider yourself to be superior to those other branches. If you do, consider this: You do not support the root, but the root supports you. 19 You will say then, “Branches were broken off so that I could be grafted in.” 20 Granted. But they were broken off because of unbelief, and you stand by faith. Do not be arrogant, but tremble. 21 For if God did not spare the natural branches, he will not spare you either. I was surprised to find that he said the same things that we have received in the past and in recent days. God is calling His watchmen to action. There have been many false prophets recently, I even saw an article of a man claiming to be Jesus the other day. Recently a man claimed that the world would end on the day of the eclipse. Then said oh maybe not. Theres no need to expand on why date setting is wrong. I will say this, its not possible to understand prophecy without understanding our Jewish roots. We wont tolerate negativity toward Israel, the Jewish people or Messianic Jews. That said Christ was clear on His return, no man would be able to tell the time, time would be shortened, and tribulation will certainly overtake all. Jesus gave specific warnings of mans downfall, and Gods judgement on the wicked and His church that falls away. Just as Gods warnings to early Israel when they fell away. America has been weighed in the balance along with the rest of the world and as Michael Rood points out a nation who pledges itself to God the way our founders did and turns from Him the way we have will be divided and judged. Our Nation is crumbling and the tares are being identified, and the gathering is beginning. Unless the Holy Spirit is your guide, no book, manuscript or translation will give you what you need. When Christians argue over the meaning of a word it only gives fodder to those who claim the Bible is fallible. No matter if scripture is believed or not Gods plan for mankind will, by prophecy come to pass! God has from the very beginning sent out His prophets and watchmen to give warning as the division of the nations will continue to make the land desolate until the time of the return of the Lord as foretold of by Daniel. We are to have our minds set on Christ by renewing it with the word of God. He has in His infinite knowledge made the way in protecting His people in two ways! One He has sent His Holy Spirit which will keep us in remembrance of His word, and second He has made an unbreakable covenant that He has written on the hearts and minds and will never depart from us! (Hebrews 10:15-17),(John 16:7-16). Jesus’ last warnings to the church in Revelation follow along the same lines of falling away, worshipping another god, and lying, that we see today. One common theme is the gift He will give to those who overcome. Stop looking for doctrines invented by men. Stop believing in cryptic hidden messages and most of all stop putting God in a box, the world is under judgement. Where will you make your stand? On solid rock or cryptic doctrine? If you depend on Messiah Yahshua/Jesus to remove your sins then you are Israel, grafted in. Yahshua said “I came only for the lost sheep of Israel.” While the country does have relevance concerning prophecy I believe God views the peoples of the world as Israel and everyone else. If you are His then you are Israel. Romans 11:26 – “And so all Israel will be saved, as it is written: “The Deliverer will come from Zion, He will remove godlessness from Jacob.” Does this verse mean that the entire country is going to be saved? I don’t think so. I think Israel is what Almighty God calls the Chosen (vs the Called). And the Torah minus the laws pertaining to the temple is still for us today. It was not done away with as Paul is so often misinterpreted. Only the law of sin and death were done away with. Thanks Scott, I do agree, however replacement theology is a slippery slope, and God will judge Israel. We cant ignore the scriptures either where God says to Israel you are my people forever. And yes Pauls teachings are often twisted to do away with the law. Thank God our Father for our new Covenant through Yezhua! We are adopted as Sons and Daughters of God, one with Him through our Savior. Time is so short, come quickly Lord Jesus! You misunderstand me if you think I believe in replacement theology. I just don’t think that Israel pertains to the country but rather to the souls who belong to the Messiah. The church does not replace Israel but rather the faithful in the church (a remnant) are Israel and that includes people from the tribe of Judah or Jews who believe in Messiah. I am in agreement with you about being led by the HOLY SPIRIT. False teachings and false gospels cannot be allowed to stand in the Body of Christ, whether Jewish of Gentile. There is no division in standing against falsehood. The Body of CHRIST is ONE across the earth, no Jew or Gentile, male of female, bond or free. We are ONE by the Blood of The LAMB+.